Following on from our previous post, we can report an improvement in the bin situation. Thank you those at Doncaster Council and Suez Recycling and Recovery for responding. The burnt out bin at New Street has been removed and the area tidied. A new bin now sits there. The bins near to the other gates were emptied a few days ago. Please note that the dedicated bins for dog waste have now been removed. Placing bagged dog waste in the large wheeled bins has been permitted for some time, so the dog bins were unnecessary. 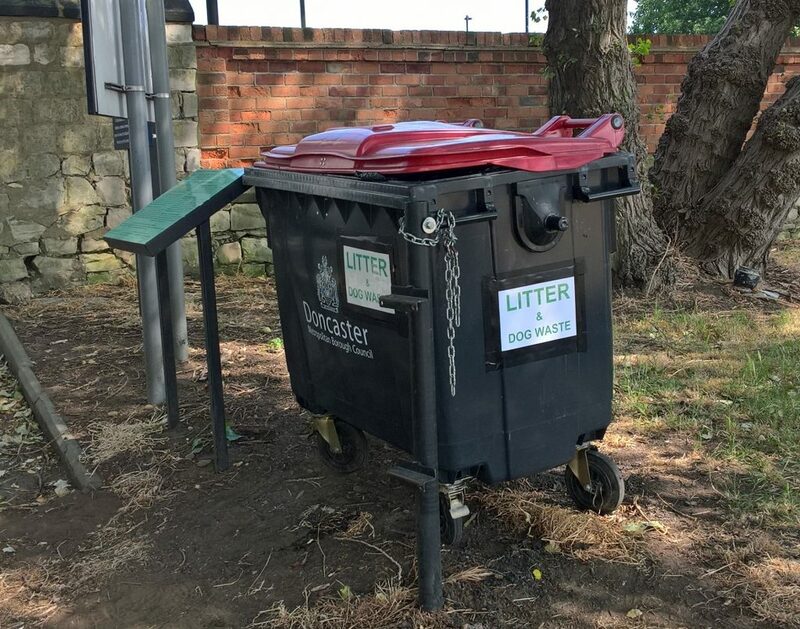 All the large bins now carry signs to say that litter and dog waste can be placed in them. We shall continue to monitor the situation.